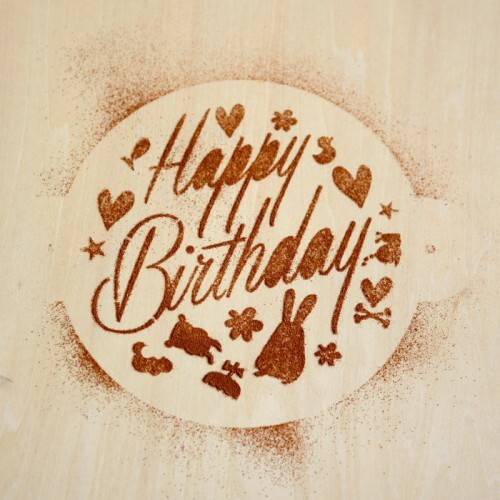 Our D.I.Y stencils are a creative and fun way to amaze your guests, this 'Happy Birthday' Stencil is perfect for any birthday party or gathering. It is precision laser cut from durable plastic so it holds up to repeated use on other foods and even craft. For first-time customers, please note that our stencils must be purchased with the sieve and icing powder/chocolate powder to create the desired effect on the surface of the cake. The sieve as well as the stencil itself can be reused.